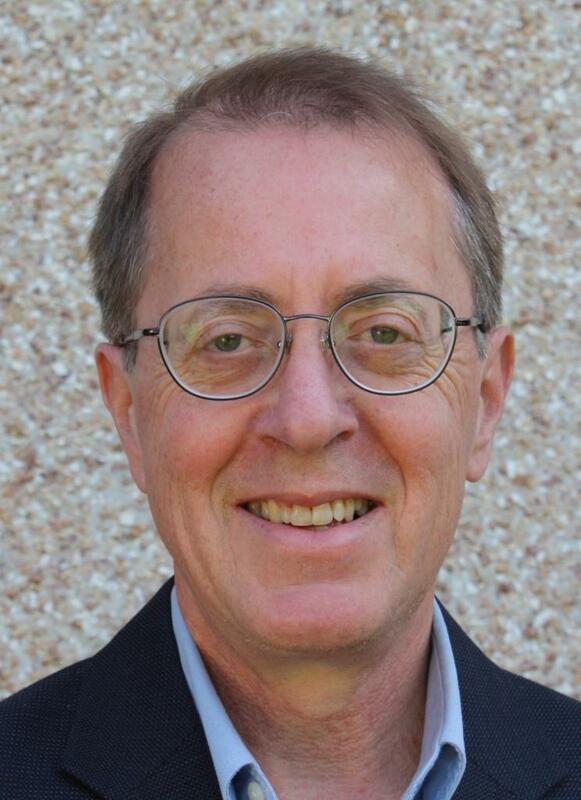 I’m feeling ok. My e-course, Virtual Collaboration: Effective Communications, Strategies and Tools for Working Together from a Distance, is ready and shipped. Get it here. Ever since I first read Stafford Beer’s ‘Designing Freedom’ (created for 1973 CBC Massey Lectures) over 30 years ago, I have taken a cup half full view on technology. Sure, technology frustrates, infuriates, and worse. It also allows us to do things that make the world a more just and caring place. A belief in the good side of technology has writ large, as an influence, in my work life; first as a computer programmer, business analyst and project manager in the tech sector; then in the field of online dispute resolution, where I still reside, and now supplemented with enabling teams and organizations to work together, and do good, via virtual channels. Virtual Collaboration is just another step on the ‘better world through technology journey’. We can do good things anywhere and everywhere, small and big things. Over to you… make a difference, virtually. 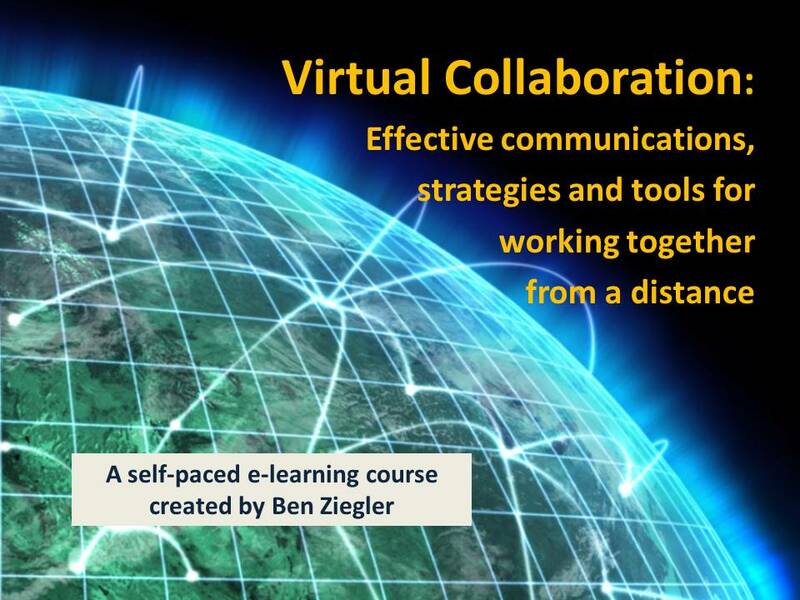 Why a Virtual Collaboration e-course? 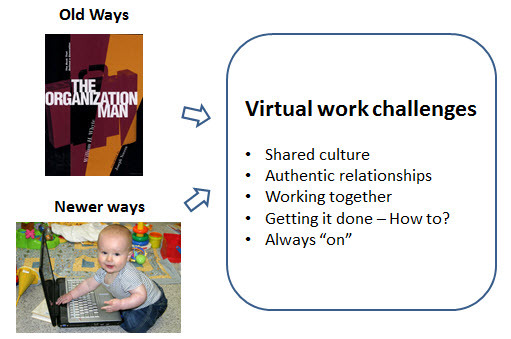 Virtual Collaboration, the e-course, ties it together; bridging old and new ways of work. Building on a foundation of effective virtual communication and relationship skills, it shows how to apply those skills using appropriate virtual collaboration frameworks and tools, facilitate virtual conversations, meetings and teams, and have some learning fun along the way. Effectively communicate, i.e., get your message across, in the virtual medium, regardless of the channel. Apply “appropriate” frameworks and tools to your virtual conversations, meetings and teams. Facilitate virtual collaboration in ways that both: get things done AND enhances personal connection and relationship. As a result, not only will your personal virtual collaboration capacity grow, you’ll also be positioned to increase the value of your work, to others. Find out more. Get Virtual Collaboration. The cost is $49 (Canadian). Make a difference.